Everyone knows about the lost ark of the covenant, but when did we lose the ark, and where has it been since? A Talmudic legend provides a clue. Shabbat Shekalim: Special readings are applicable this Shabbat. Shabbat Shekalim ("Sabbath [of] shekels" שבת שקלים) requests each adult male Jew contribute half of a Biblical shekel for the upkeep of the Tabernacle, or mishkan (משכן). 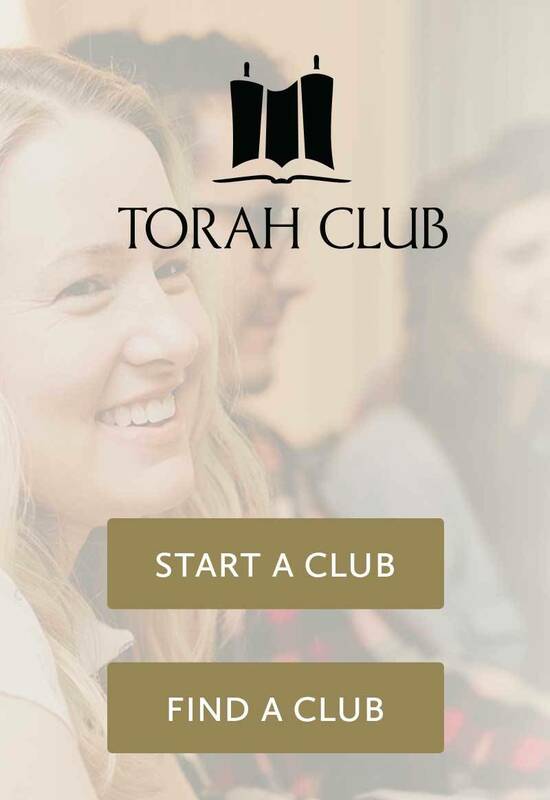 The Torah portion Exodus 30:11-16 (the beginning of Parasha Ki Tisa) is read. This Shabbat takes place on the Shabbat before the 1st of the Hebrew calendar month of Adar, or on the 1st of Adar itself if it falls on Shabbat. In leap years on the Hebrew calendar, when there are two months of Adar, Shabbat Shekalim is on the Shabbat before the 1st of Adar II (or on the 1st of Adar II itself if it is Shabbat). 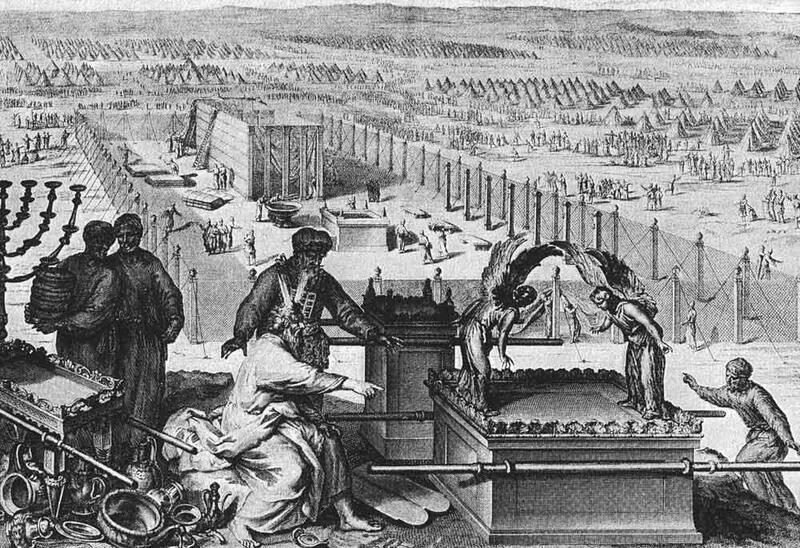 The children of Israel constructed the ark of the covenant according to the specifications revealed to Moses on Mount Sinai. 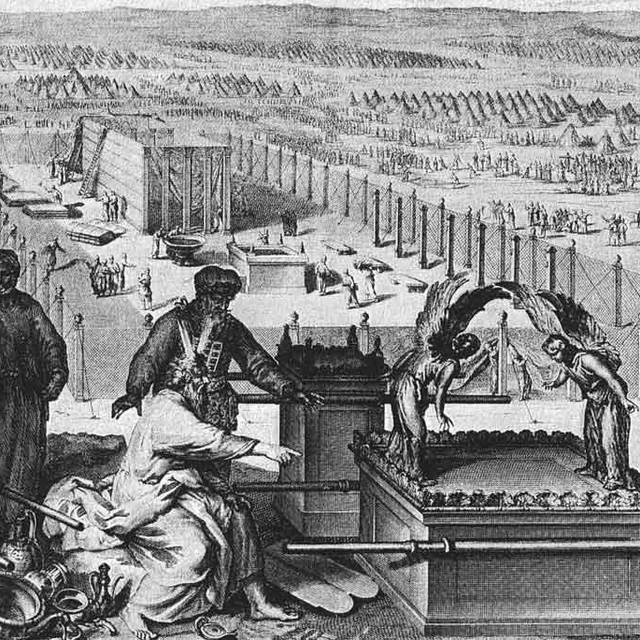 The ark of the covenant was lost during the Babylonian destruction of Jerusalem and the Temple in 586 BCE. No one knows what happened to it at that time. When the Jewish people returned from captivity in the days of Ezra and Nehemiah and rebuilt the Temple in Jerusalem, they did not make a new ark. They built replicas of all the other Temple furnishings, just as Solomon had done, but they did not feel that they had the Almighty's permission to make a replica ark of the covenant. Therefore, the holy of holies was left ark-less throughout the entire second Temple period. The sages explain that inside the holy of holies was a foundation stone, a piece of bedrock, on which the ark used to sit during the days of first Temple. Talmudic lore contains several traditions about the ark. Some of the sages insisted that the ark was carried away by the Babylonians and never seen again. Others held that Jeremiah the prophet or King Josiah had hidden the ark away prior to the Babylonian conquest. One tradition has it that the ark was hidden in a secret cellar below the chamber of the woodshed where wood for the altar fires were kept. There it remained hidden through the Babylonian destruction, but its location was forgotten. According to this tradition, it once happened in the days of the second Temple that a priest whiling away his time in the chamber of the woodshed noticed that one of the floor pavers was different from the others. He was about to lift it to investigate when he was struck down dead. Later, two priests were gathering wood for the altar when one dropped his axe on that same paver. Fire leapt up from the floor and killed him. Though stories like this are entertaining, they are only apocryphal anecdotes with no real historical basis. They are no more reliable than the modern-day pseudo-archaeologists and sensationalist junk scholars who claim to have found the ark or to know where it is hidden.